CARDET, the Cyprus Centre for European and International Affairs (University of Nicosia), the University of Malta, the University of Piraeus Research Centre, World Vision Romania, and KOPIN Malta organise an International Conference with Presentations, Panel Discussion, and Workshops on the themes of “Development Cooperation” and “Development Education”. 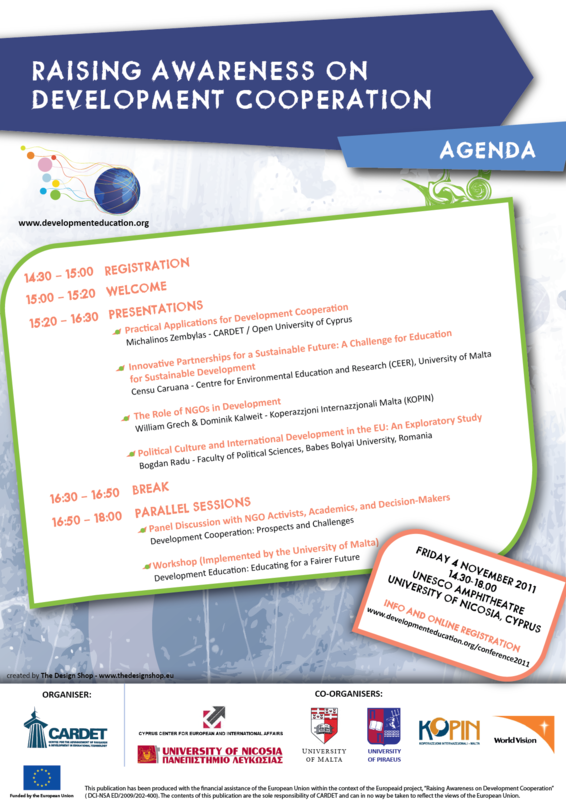 The event will take place within the framework of the EuropeAid Project “Raising Awareness on Development Cooperation”. Participation in the conference and workshops is free. Participants will receive a diploma for their attendance.